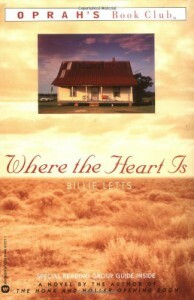 I love Billie Letts, I love this book and I love all the crazy characters in it. I've actually read this twice. I read it once when it came out and then a couple years later before I watched the movie. It's just a great heartwarming story and I would definitely recommend it!